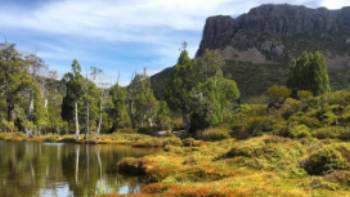 Tasmanian Expeditions’ parent company World Expeditions has received approval to proceed with its application to erect semi-permanent Puffer Pod camps in Tasmania’s Wilderness World Heritage Area. The Puffer Pods have been designed by Neeson Murcutt Architects, who designed the company’s award-winning, semi-permanent eco-campsites on the Larapinta Trail in the Northern Territory, which have since gone on to win the coveted Ecotourism Brolga Award in 2016 and 2017. According to World Expeditions CEO, Sue Badyari, “sustainability sits at the core of World Expeditions’ adventure operations and the Pods have been designed for minimal impact on the environment while delivering greater comforts for trekkers on these two world class walks.